The Portsmen will be rubbing elbows with San Joaquin Dixieland Jazz Society bringing you a mix of two great American art forms - Dixieland Jazz and Barbershop. 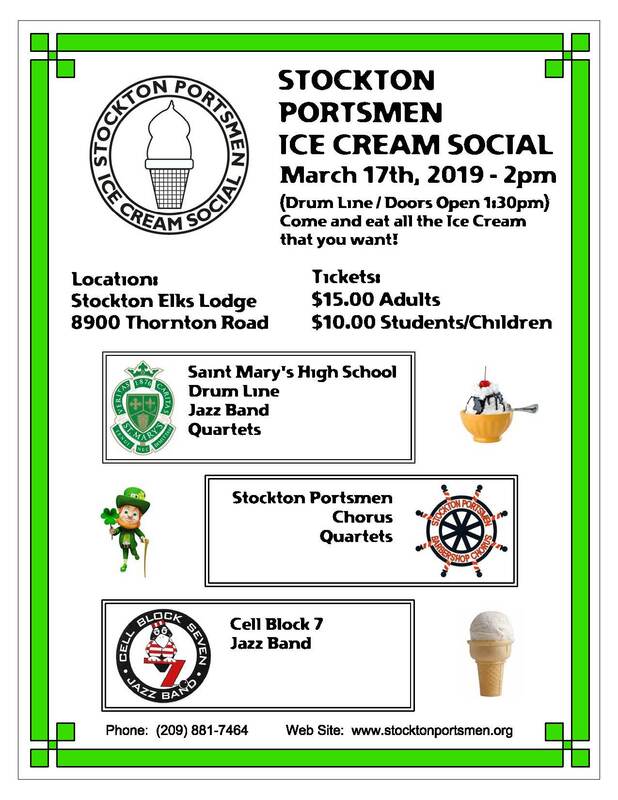 You'll get your fill of both while also getting your fill of ice cream as you listen to groups from St Mary's High Schooland our feature performer, the Cell Block 7. And of course the Stockton Portsmen Barbershop Chorus will be there with a smattering of local quartets. Make sure to set March 17th aside and spend it with us at the Stockton Elks Lodge.